From minimal to maximum Bohemian touches, Urban Outfitters has always been a supplier of Boho-things. 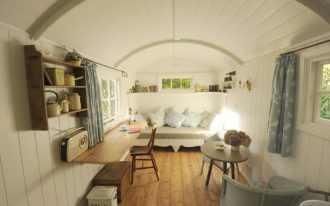 It never fail to update people’s interiors with all of products. We’ve searched and collected all favorites and then we wanna share them to you. We’re really sure that these Boho-appealed products won’t disappoint you. Beaded ‘curtain’ is just one of element that can revive a Boho look. 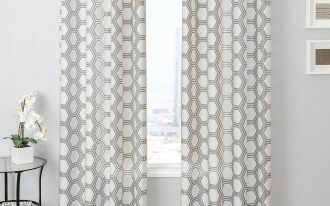 In previous times, the beaded curtains are commonly used for doors but today we can use it just as a wall decor that effectively adds a direct focal point to the space. In visualization, this piece of Bohemian touch maker delivers an ombre quality; it’s much better to feature with whitewashed wall to expose more its texture and subtle pattern details. Tufted bed cover can be another best alternative to add a Bohemian look. 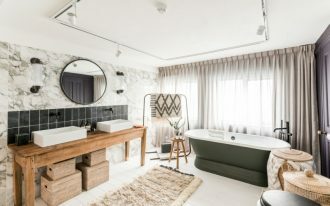 The sheet brings huge impact to the space due to its texture and decorative details, proving that there is no need more layers of shams and blanket just for an eye-catching bedroom setting. 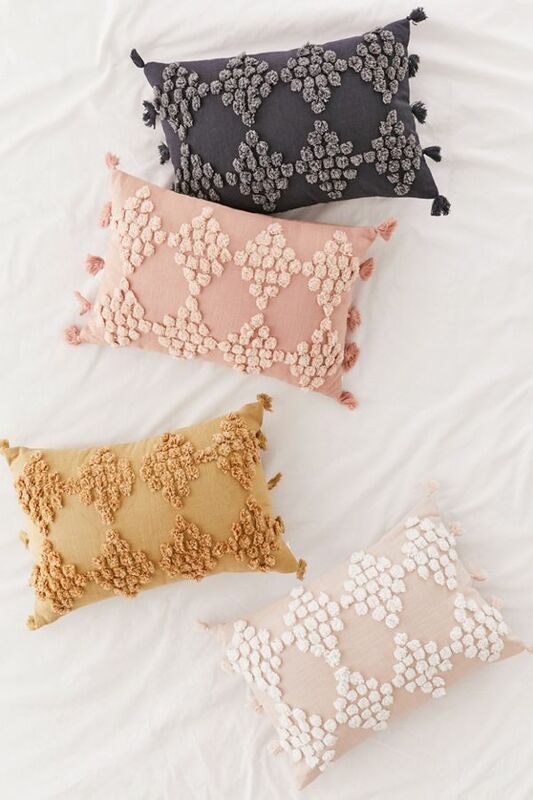 Subtle tufted patterns like geometrics, pompoms, stripes, or even florals inserted along the edge automatically make the cover perfectly beautiful. 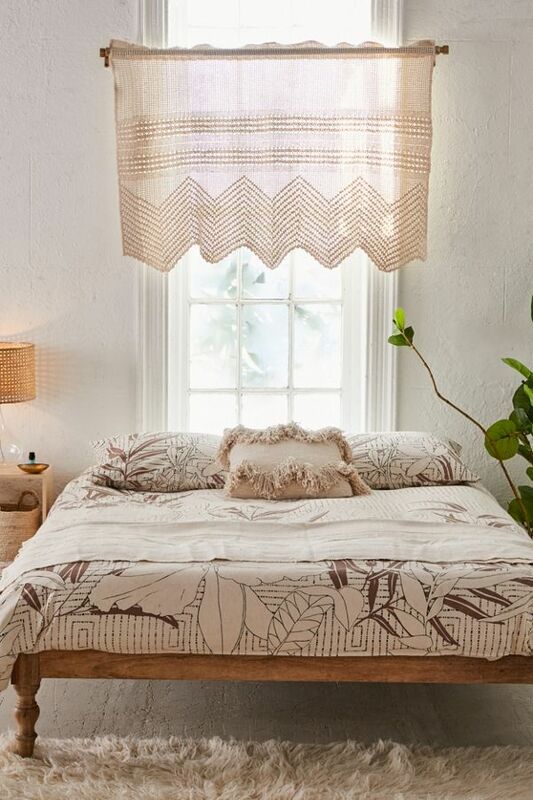 Embroidered shams seem good to add a Boho touch to your bedroom. This of course gives obvious texture to your bed. Make an instant bed accent only with this idea. 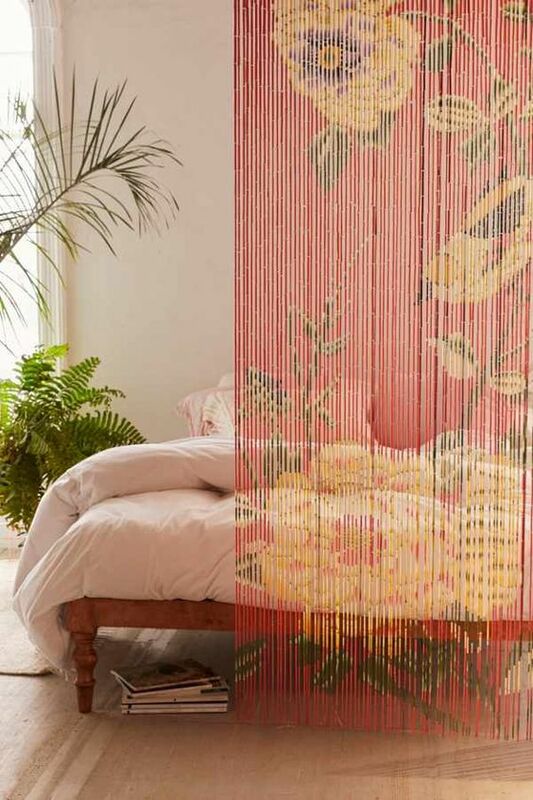 Choose a statement lightning like this macrame floor lamp. Its full height effectively saves the space, suitable for small rooms. 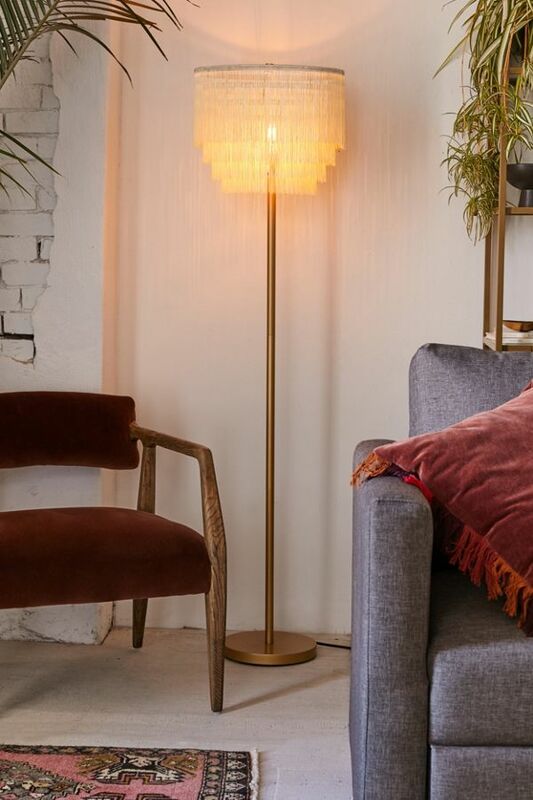 The stand of lamp is made of thin and solid metal bar with rounded base; and the lampshade is so adorable, it can produce an artful light effect especially when the light is on. 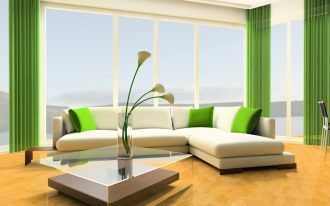 Floor pillow addition on floors can bring a lot of benefits like having extra seat options and statement maker. The size and color of pillows also take a role of style maker that instantly blends with the existing interior style. 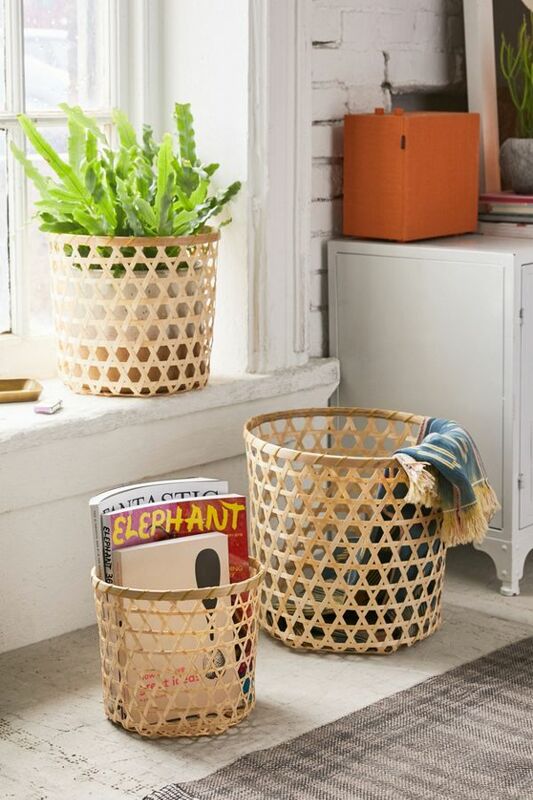 Ornate bamboo basket also takes a role as Boho essential. It’s multifunctional. It’s beautiuful as a nesting basket for favorite books & magazines, greenery, even for cloth. Screen is one of best choices for extra privacy. There are so many product options and the carved one is artful to choose, especially for Boho touch. 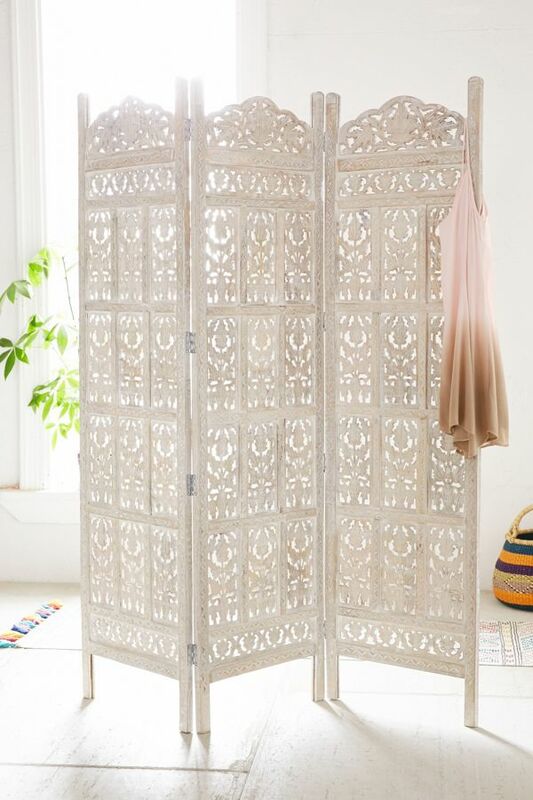 The carved screen is commonly made of solid wood and colored in wide various hues. 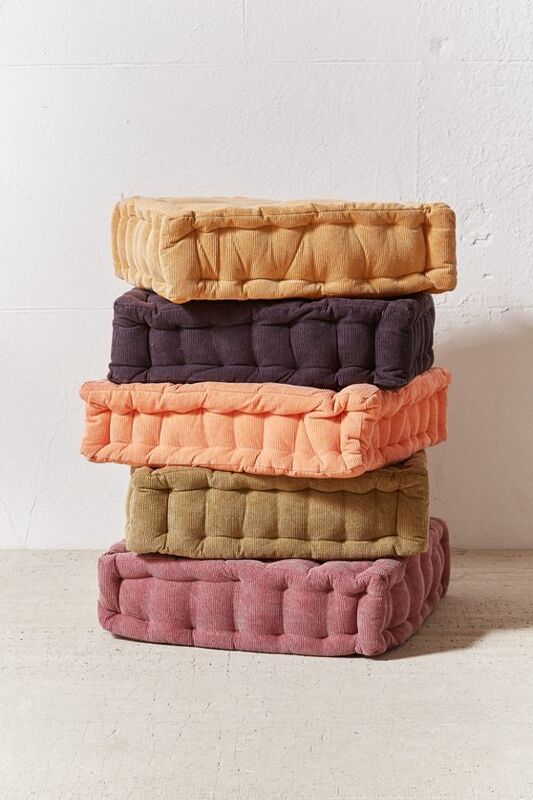 Urban Outfitters has provided the folded ones, so it’s practical to fold up and lean it on walls when you don’t use it. 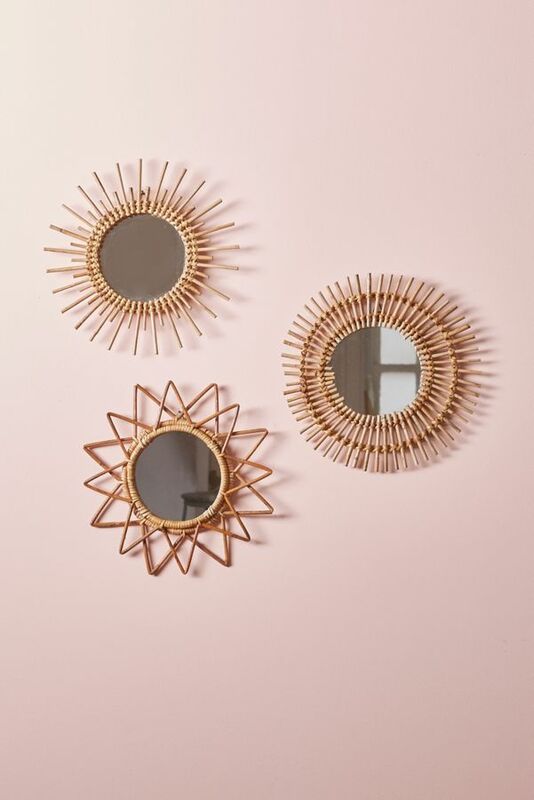 If you wanna have the most eye-catching piece for your home, the rattan artworks absolutely meet your dream. 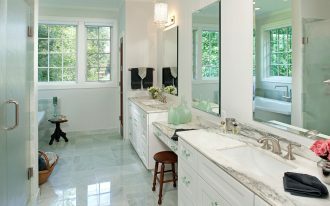 Feature it with something decorative and functional like the wall mirrors. 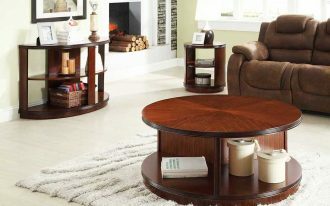 This will be a worth-finish as well a classic touch that sends lot of character to your room. 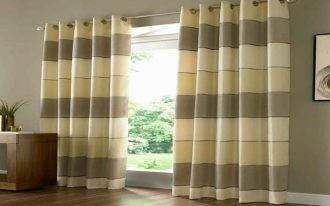 Feel bored with common window curtains? Be more creative with such a creative window valance. This instantly brings a massive Boho charm, and macrame still be the hottest trend for Boho style. In addition, this macrame window valance will also add the details of look and texture. 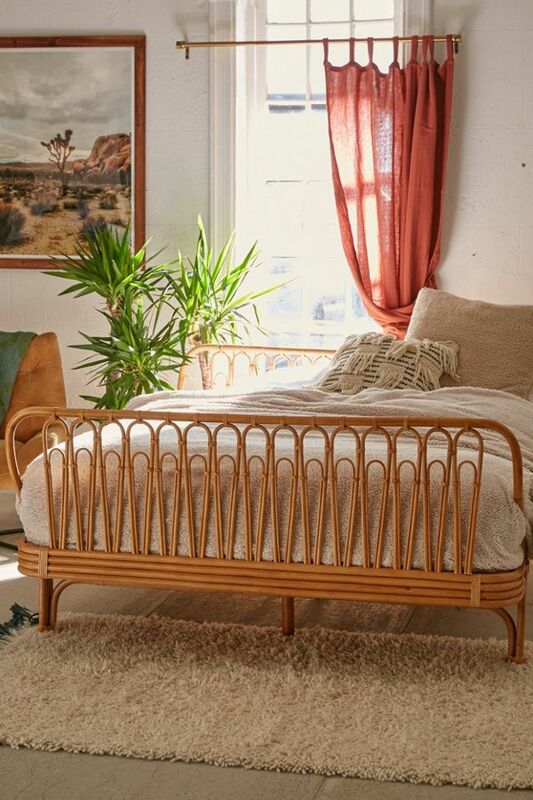 Another best way to add a Boho statement is by furnishing the space with a primary rattan furniture set like this rattan bed frame. The woven finish on rattan bed frame exhibits the artful structure, empowering more the chic look in the space.